You are invited to join us for a fun FREE interactive Menorah Workshop! The event will unite children and their families from our community in a joyous and interactive pre-celebration of Chanukah. 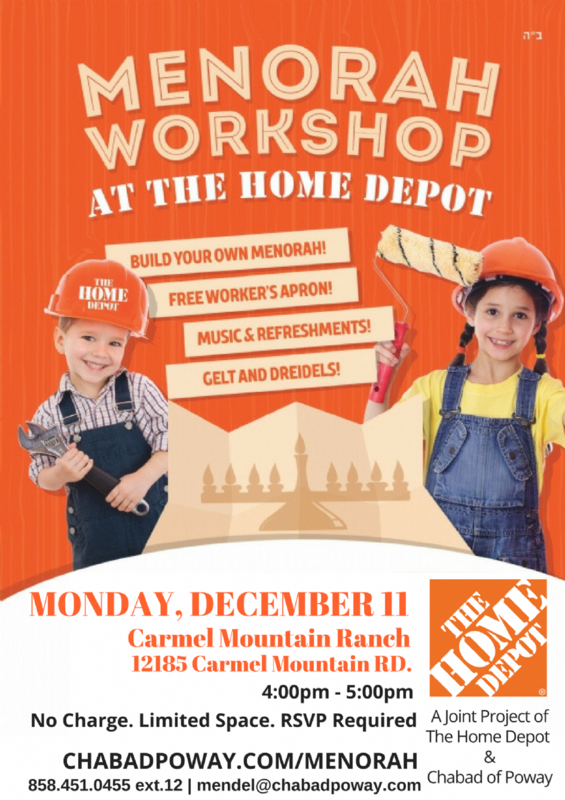 Participants will receive a free workers apron and then craft their own unique Menorah from wood and a host of other supplies available at The Home Depot. Parents should accompany their children to this event and there is no charge for attending. RSVP early to secure a spot!